There are safety apps that can be used to make the construction industry safer for its workers. The invention of the smartphone has put technology into everyone’s hands. Information and connectivity to the internet makes the world a smaller place. While we have seen negatives of such limitless information, there are positives that outweigh the negatives. Smartphones enable us to improve many aspect of our lives. Many apps are designed to help us do things better. There are apps that make any task easier, either by means of providing information, or by providing a structure as to how the task needs to be done. Such applications have been written for every walk of life. One will find wellness and medical applications, applications that assist teaching and education, applications for various photography functions, finance, HR and administration, etc. In this article we will list some of the safety apps that can be of immense help for construction workers. 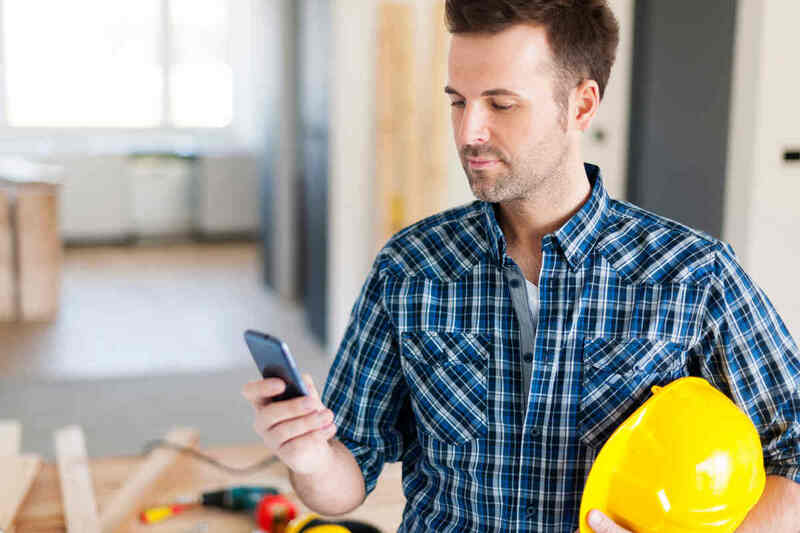 Even the construction industry has smartphone applications that help support a number of functions and roles, making execution of work easier. Considering that construction is such a high-risk industry, with workplace hazards and dangers present at every step, safety should be safeguarded by everyone. Heat Safety Tool – Occupational Safety and Health Administration’s (OSHA) own heat safety tool enables users to calculate the worksite heat index, manage reminders for safety and preventive measures against heat such as drink water one time, etc. iTriage – The iTriage app is an effective application that provides information about what type of medical help and first aid can be administered for which symptom. Ladder safety – Another app developed by NIOSH (National Institute for Occupational Safety and Health) the ladder safety app provides safety checklists and reference material, and has a ‘multimodal indicator’ that uses sound signals for assisting users with placement of the ladders and extensions at optimal level. LiftRight – is an app developed by NIOSH to help workers understand if a prospective lift is safe or not by applying the NIOSH Lifting Equation and determining the safety. Safety News – The app is beneficial for managers, supervisors and construction business owners to be up-to- date with latest industry related safety news. SafeSite – The app helps workers complete safety workflows such as safety hazards, inspections and observations, enter and manage maintenance information about equipment, filing incident reports, etc. are managed with the help of this app. SafeWorkPro – SafeWorkPro is an app that is useful to manage risk assessments without the worries of paperwork. It can help managers and supervisors track risk activity of workers and gives suggestions for general hazards and job steps. Accidents can happen anytime to anyone. It is therefore always wiser to be well prepared. Applications can help owners, workers, managers and supervisors in the construction industry to avoid a safety hazard, plan around eliminating or reducing the effects of the hazard and be well prepared in case an accident does occur. On a worker level, it is important for everyone to follow the established safety guidelines set about. Use proper safety protection equipment and perform functions and duties according to the rules of the job. If you happen to suffer a workplace injury, you are entitled to receive workers compensation benefits. However, you should be receiving treatment for ALL of your injuries, not just the ones the insurance company wants to accept. Do not let the carrier deny you benefits. Call the Law Office of James M. Hoffmann at (314) 361-4300 to discuss your case today. You may also fill out our online contact form to request a free consultation.